There is an easier alternative to hiring a skip when you have waste which needs to be disposed of, and that's to hire the clearing services of Handy Rubbish. We have the staff, expertise and experience to give you a South East London rubbish removal service that is second to none. For instance, when it comes to house clearance, we can do the job faster and more efficiently than any other waste clearance company. In no time at all, a property will be emptied of everything in sight thanks to the hard-working and expert skills of our property clearance staff. Boroughs within South East London include Lewisham, Greenwich and Bromley. Bromley is London's largest borough covering 58 square miles. Lewisham in SE13 contains the area of Blackheath, a popular area for stylish cafes, restaurants and boutique-style shops. Other districts with a SE postcode are Deptford in SE8, Dulwich in SE21 and Sydenham in SE26. 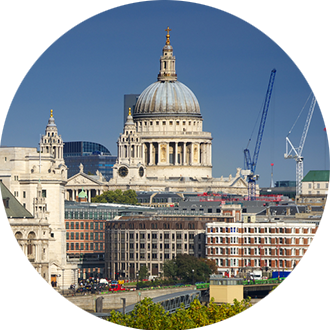 Although it's an area, in terms of tourism, that can be less visited than other London areas, London's south-east still has its fair share of attractions and claims to fame. For instance you'll find the Imperial War Museum in SE1 as you will find Shakespeare's Globe and the London Eye there. Eltham Palace and Gardens meanwhile are well worth a visit in SE9. For the residents of south-east London, it's an area that has excellent transport links. London Victoria train station along with Charing Cross and Cannon St all serve the south-eastern part of London and also make it easily accessible to Kent and the south-east coast. Lewisham is typical of many areas in this part of London with excellent amenities and superb commercial facilities such as Lewisham Shopping Centre. The overall population of south-east London is around 1.3 million. It may be a garden which is littered with natural debris such as branches, soil or grass or perhaps it's actual litter which is making the garden unattractive and unhygienic. 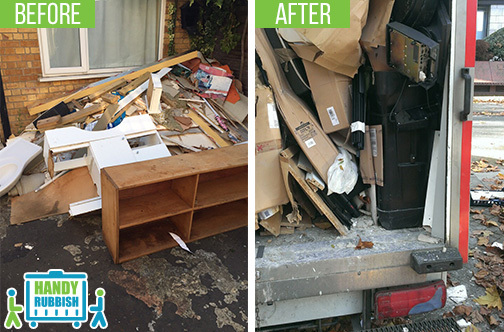 If you're faced with a situation where you need a lot of stuff cleared and you're wondering how to go about it then we really are the better choice when it comes to rubbish clearance in South East London. To begin with, we give you a free quote so you know immediately just how good our prices are. So call us now on 020 3540 8282 and you'll have confirmation that a superb waste removal company is available to you for a great value price. By hiring us, you don't need to hire a skip. The problem with hiring a skip is that you need to go through the council and in addition to it being rather expensive, it can be time consuming as well as giving you hassle you don't need when you want a job done fast. You can also be sure that we dispose of all our waste legally and do so ethically by trying to recycle as much waste as it is possible to do. If you're a business and you need a rubbish disposal carried out then get in touch with us and that's just what you'll have. We'll make sure you keep under budget and give you the very best waste collection service in South East London it's possible to have. We are the house clearance professionals that can take care of any clearance whether it's garden clearance, office clearance or some other property clearance. We are there for you when you have had building work going on or if you're a landlord or estate agent and in addition to giving you a superb home clearance service, we can give you builders waste disposal. Calling Handy Rubbish on 020 3540 8282 is the most cost-effective solution to professional rubbish removal in South East London.